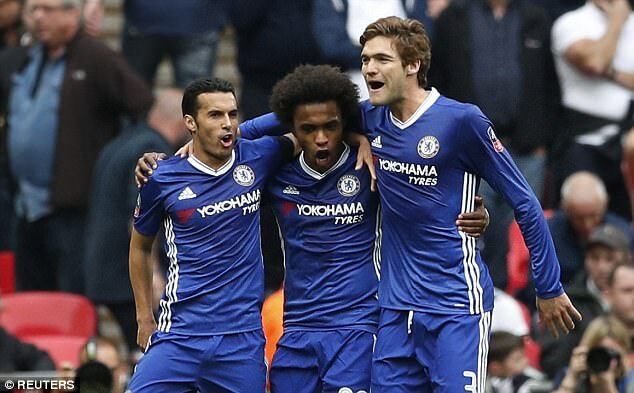 Chelsea booked their place in the FA Cup final after an exhilarating 4-2 win over London rivals Tottenham at Wembley. Chelsea pulled away in the second half with two impressive strikes from Eden hazard and Nemanja Matic to pile more Wembley misery on Spurs, who have now lost their last seven FA Cup semi-finals in a row. With the action on the pitch impossible to take your eye off, there was plenty that went under the radar. 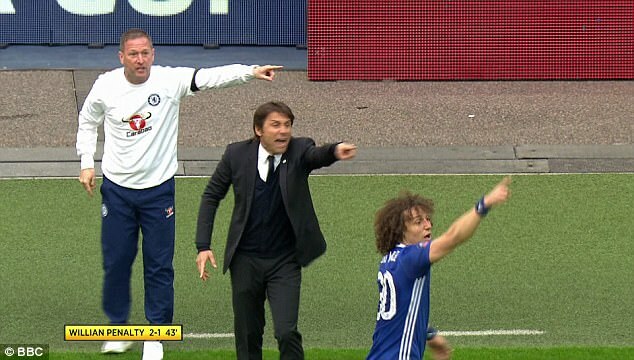 Fewer strikes better than Nemanja Matic’s howitzer have graced the new Wembley and his goal was befitting of an incredible match… as was Kurt Zouma’s reaction on the bench. 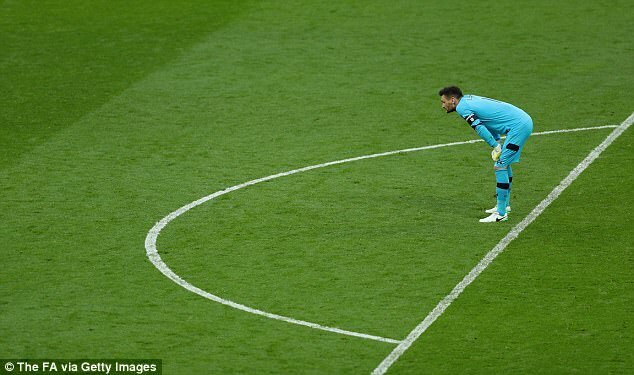 As the Serbian’s effort found the top corner of Hugo Lloris’s net, the French defender cut a dumbfounded figure as he raised his hands to the top of his head in disbelief at what he had just witnessed. Before he knew it he was covering his mouth with his hands in an effort to hide his shocked look. 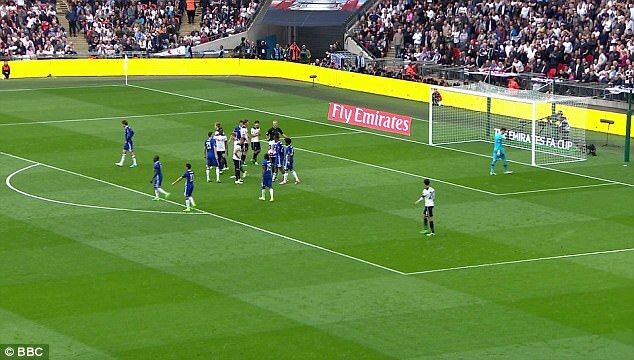 To be fair to the defender it is no wonder he was in a state of shock – the goal Matic’s first for Chelsea in nearly a year. Nerves will have stirred among Chelsea fans at 4.15pm when the teams were announced, with no sign of talisman Eden Hazard in the starting line up, with Willian taking his place. However, those nerves quickly settled, as the Brazilian produced a moment of magic the Belgian himself would have been proud of, as his free-kick beat Hugo Lloris to put the Blues in front, leaving many to wonder what all the fuss had been about. Not to be outdone, however, hazard did make sure he had his say when coming off the bench as he scored the decisive goal to finally swing the tie in the Blues’ favour. 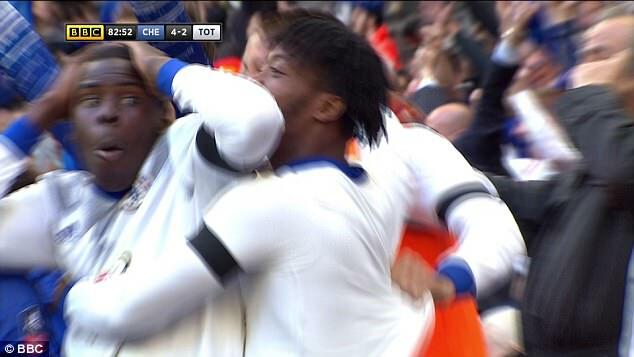 As Chelsea fans celebrated their opener, Tottenham fans will have had to deal with the familiar sinking feeling they have come to associate with the national stadium. 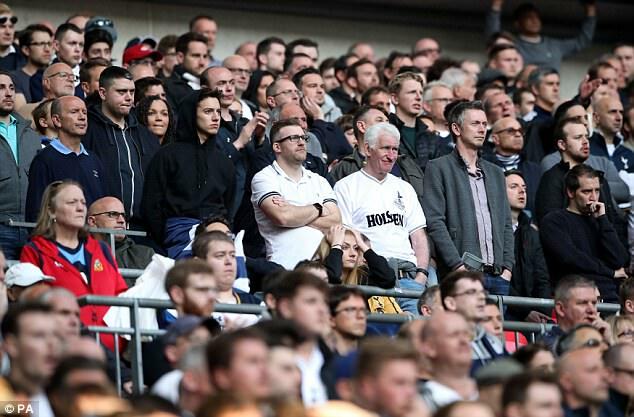 Wembley is set to be a temporary home for Spurs next season, but on recent evidence it’ll be anything but a happy one, with the side having conceded on each of their previous nine appearances at the home of football. 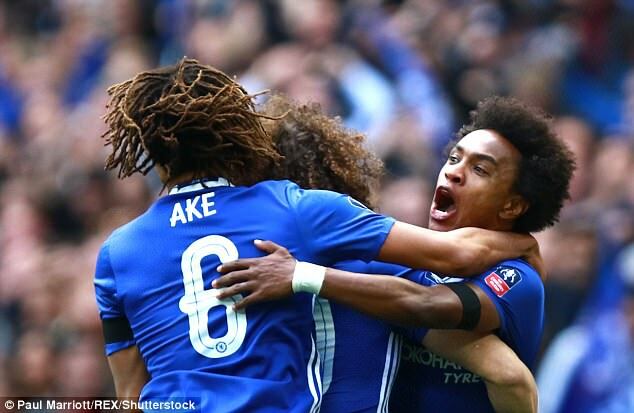 Willian’s early strike ensured that number rose to 10, and along with the knowledge that Spurs have lost each of their last seven FA Cup semi-finals, it was another tough day for Mauricio Pochettino’s side and their supporters. 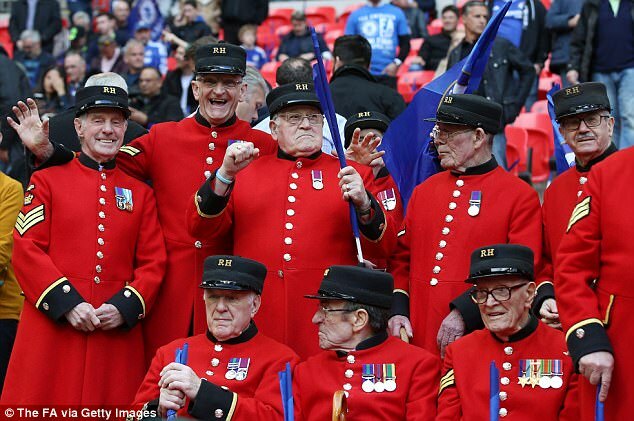 Any trip to Wembley is a memorable day out for all fans, young and old, and the Chelsea Pensioners certainly will have enjoyed their visit. 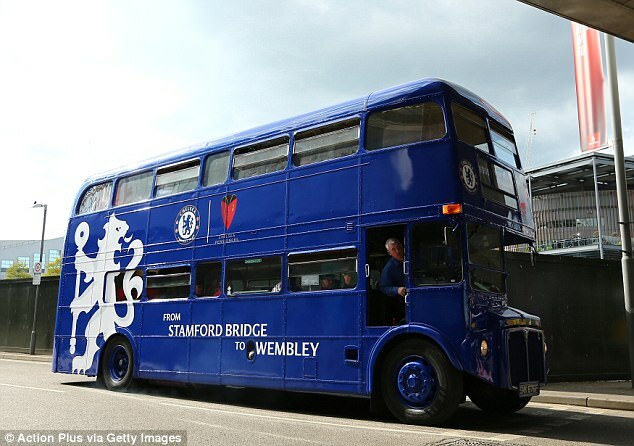 Dressed in their familiar red coats, the veterans arrived in style on a double decker bus, pimped out in the colours of Chelsea, to see their side book their place in the final. And the bus driver can’t quite put his feet up for the rest of the season just yet, with the Pensioners now set to travel en mass to the national stadium again in May for the final. 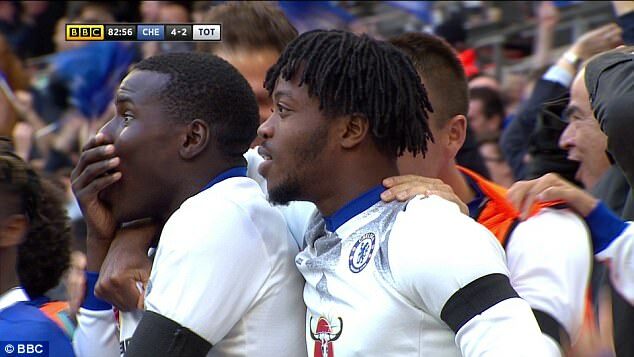 Michy Batshuayi is a striker in need of a goal, but his team-mates were having none of it when he stepped up to take the penalty. The Belgian rushed to pick up the ball after Heung-min Son had felled Victor Moses on the penalty area, and placed it on the spot, only for boss Antonio Conte to steal his big moment. 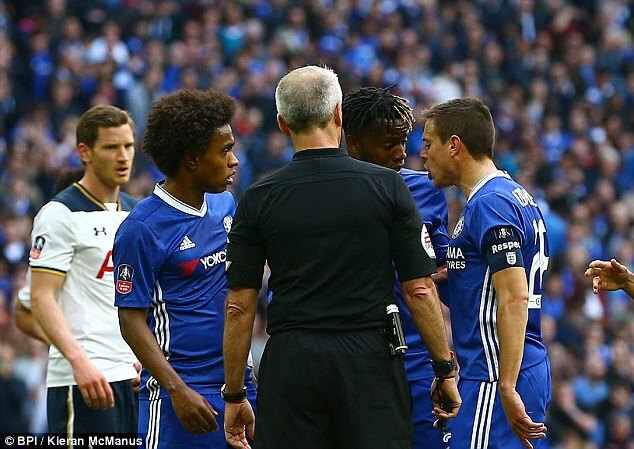 The Italian demanded that Willian take the spot-kick a message that was relayed to a clearly disgruntled Batshuayi by Cesar Azpilicueta. 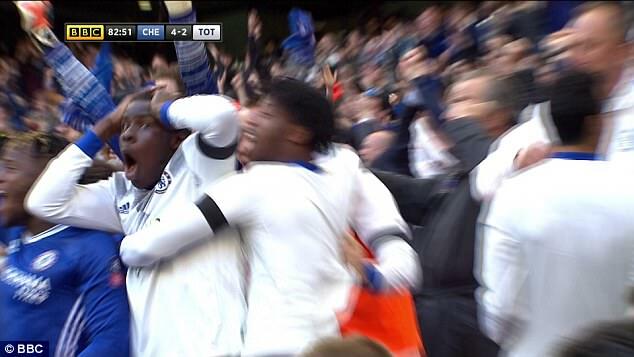 All was soon forgotten though, as Willian scored to put Chelsea back in front. 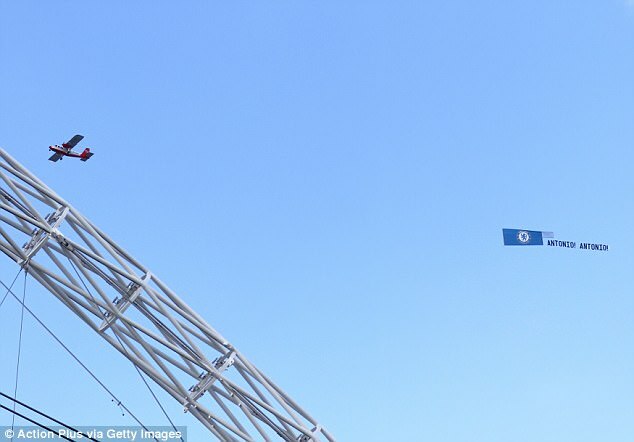 With the air space above the UK’s football grounds becoming increasingly crowded, it was at least refreshing to see a positive message being displayed from the skies as yet another aeroplane flew a banner over a football match. 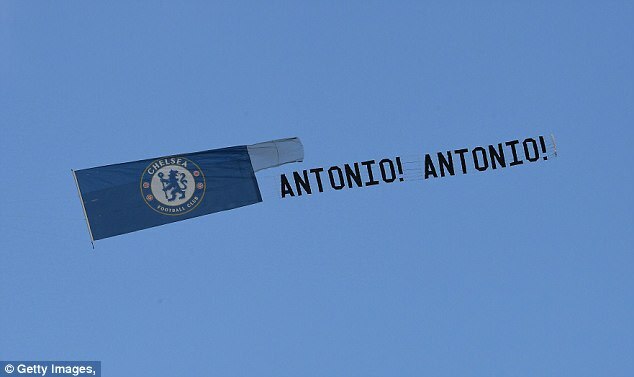 So take a bow Chelsea fans for going with the message, ‘Antonio! 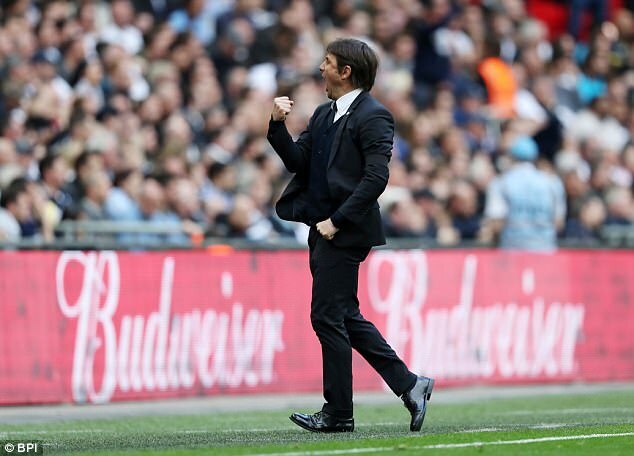 Antonio!’ in support of their Italian boss during the first half. Not that Antonio Conte will have been able to read it. Or anyone in the ground for that matter. How much did that cost again? 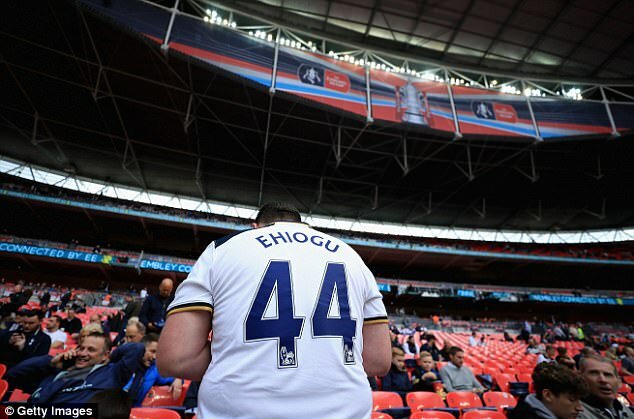 After the shock death of Tottenham’s under 23s coach Ugo Ehiogu on Friday, tributes poured in from the world of football in memory of the former England defender. 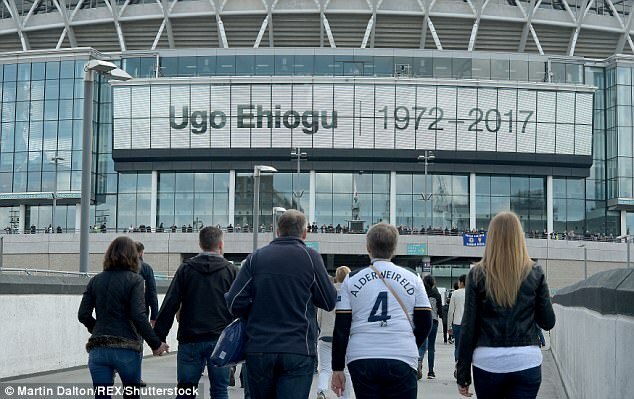 And there were numerous gestures on show at Wembley on Saturday, too, with the electronic display on the front of Wembley displaying the player’s name in his memory. Both sides also wore black armbands, while there was also a minute’s applause held before kick-off. A fitting tribute to one of the game’s most respected players.